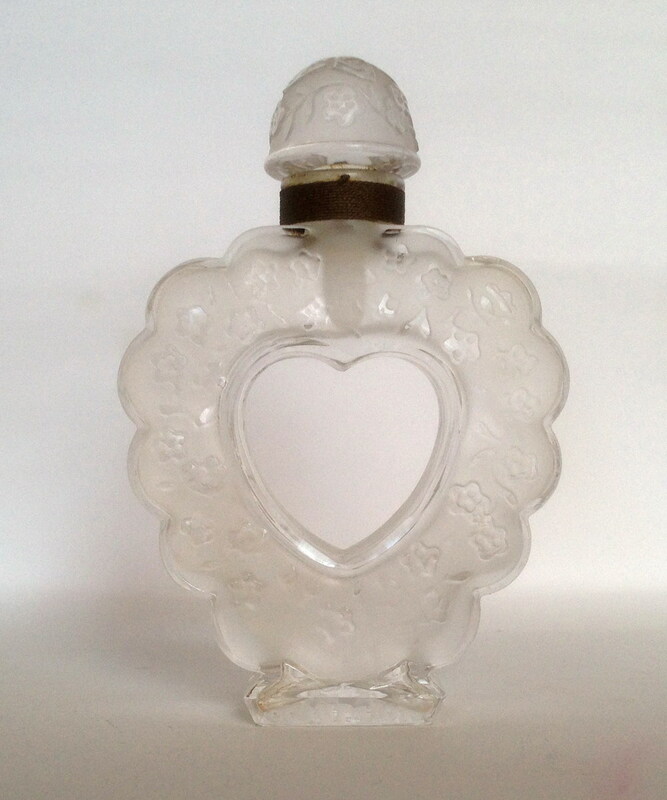 This bottle was designed by Marc Lalique and is marked Lalique on the rear of the bottle. About 12cm or 4 3/4 inches tall. This scent was introduced in 1942.